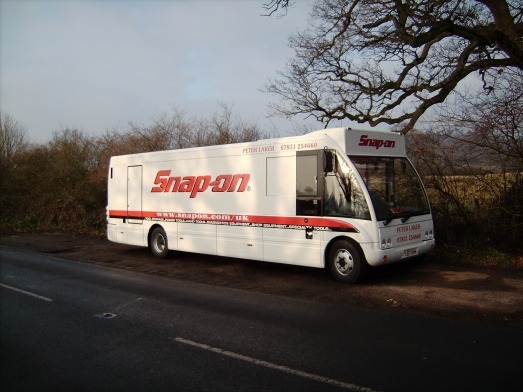 After retiring, in the spring of 2001, I got a part-time job with a company who delivered vehicles throughout the UK and Europe. 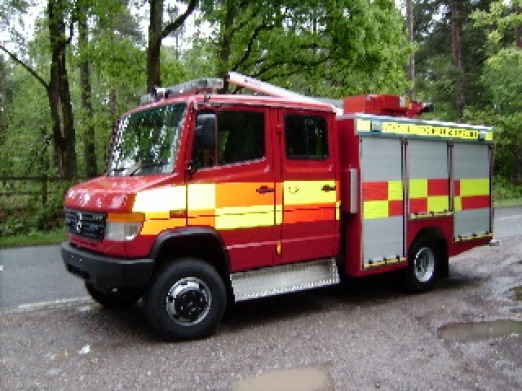 The vehicles they delivered were mainly for the commercial sector of the motor industry - mobile cranes and fire appliances, for example; however, the bulk of their work involved Passenger Carrying vehicles (PCV). 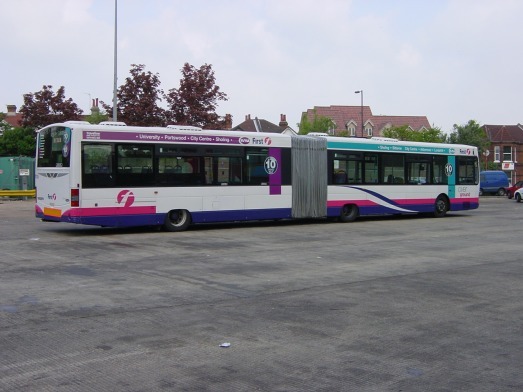 Although there was quite a large turnover of staff, most of the time, the company operated with three drivers in Scotland, three in the north of England, three in the midlands and three in the south. They were made up of a mixture of drivers employed by the company and some self-employed drivers. For my own part, being part-time, I let the company know when I was NOT available and, for the rest of the time, I was 'on-call' - as it were. When I was needed, the office telephoned to make sure I was still available and sent an e-mail containing details of the job - contact names, addresses, post codes, telephone numbers and type of vehicle etc. Then, I found maps on the internet and printed a copy before leaving home. One of the major customers was based quite close to where I live in the south of England. 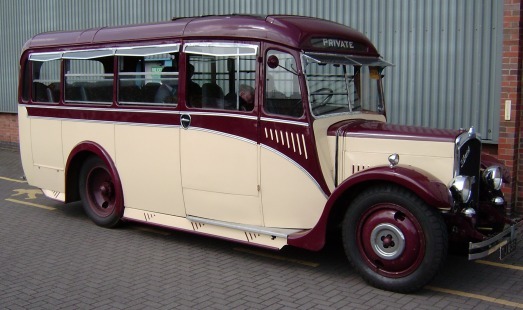 Their engines and chassis are assembled down here and transported north to factories in central Scotland and east Yorkshire to have the coachwork added. Quite often when a local driver collected a new vehicle from the factory in Scotland, for example, another driver would head north in a hire-car and meet at a convenient point. After exchanging vehicles, each driver headed back home for the night. I was quite often involved in these change-overs. 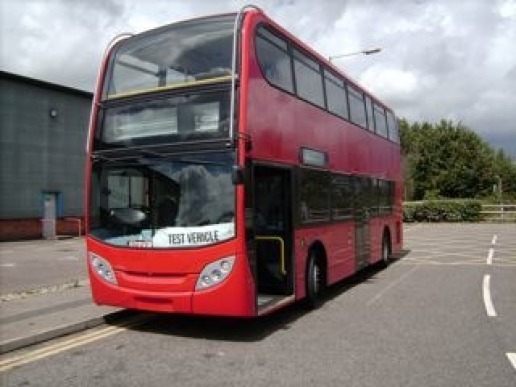 However, being quite close to the capitol, I was also required to move buses in and out of London Transport garages and, on these occasions, it made more sense to use public transport because hiring a car would be uneconomical. In conclusion, I have to say I enjoyed the work immensely. However, a combination of factors - not least some unwelcome interference from an outside agency followed by a realisation that a youthful mind doesn't always compensate for an ageing body - led me to suspect that reaching the fabled 'three-score-and-ten' might be an appropriate time to put away my overnight bag and exchange it for a golf bag. This is the main assembly section at East Lancashire Coachbuilder's factory in Blackburn. 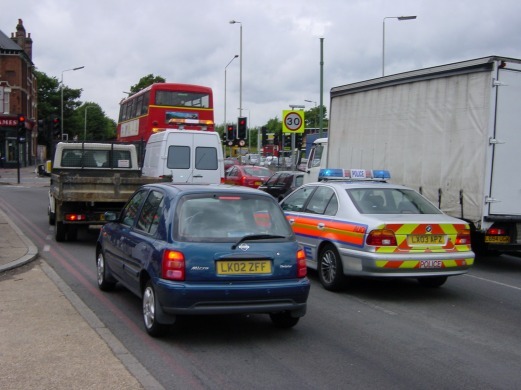 A fundamental purpose of VOSA officials is to identify vehicles which are unroadworthy. 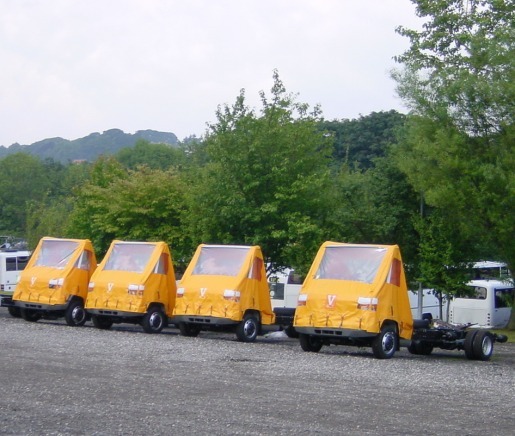 They have the power to impound vehicles which don't meet the required standards. 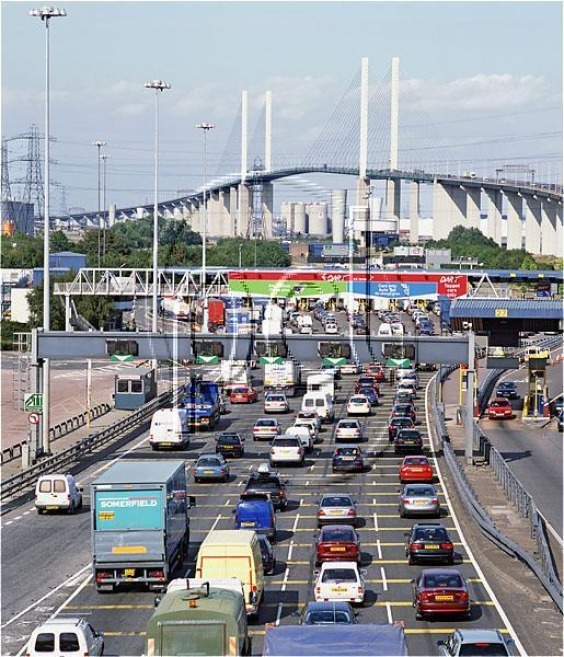 The Dartford Crossing is where the London Orbital Motorway (M25) crosses the River Thames to the east of the capital. Originally, built as two tunnels - one in each direction - a bridge was added later. That is now used for southbound vehicles and the tunnels carry traffic north. In extreme weather conditions, the bridge may be closed and, in that event, the tunnels are opened in both directions. 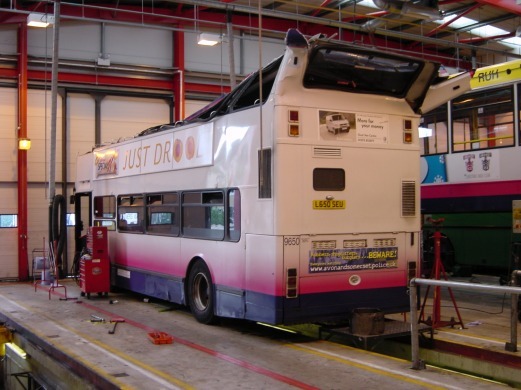 In the interests of road and passenger safety, many buses and coaches are put through their paces at facilities like this one in Bedfordshire. A similar facility can be found in Warwickshire. 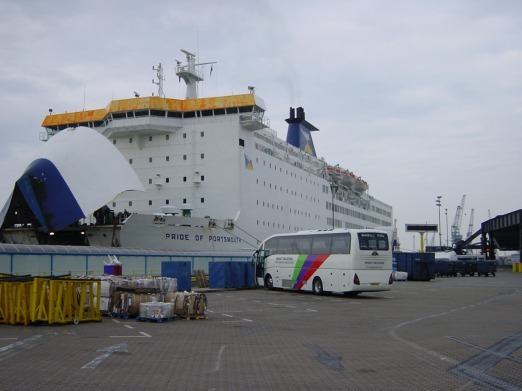 This is the ferry in which I sailed to Douglas on The Isle of Man during one of my deliveries. We sailed from Heysham. The tide on the day was amongst the highest of the year and, as a consequence, getting the bus up the ramp into the ferry was tricky To add to the excitement, the strongest storm of the winter had occurred during the previous evening. 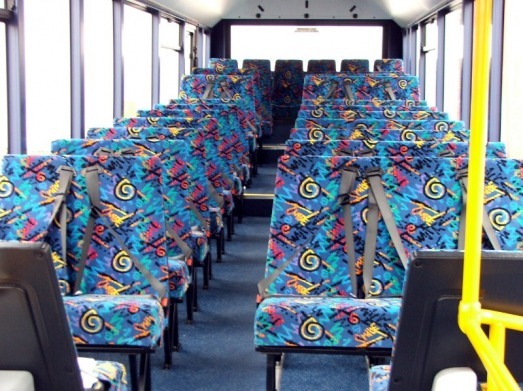 I've delivered mini-buses with greater seating capacity than the 'plane which took me back to the mainland. During the flight, there were remnants of the recent storm and we were buffeted about a bit. Almost all aspects of development work are controlled, monitored or connected to computers and there were wires everywhere - sometimes (although not visible in this photo) outside the vehicle, as well. Heavy weights are distributed throughout the development vehicle to simulate conditions which would apply with a bus full of passengers. Plastic bottles - which can be filled to various levels to simulate the weights of different sized passengers - are sometimes placed in the seats during road tests. ...........Well, not quite destruction, perhaps. However, the whole point of road-testing new vehicles is to identify problems before they go into service. On this occasion, the fault was found to be with a computer and the vehicle was taken back to the factory. 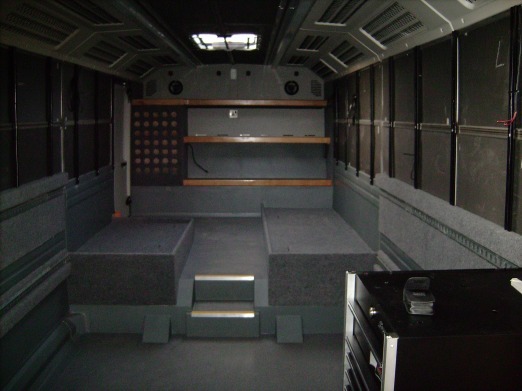 As featured in the manufacturer's web-site , this is the engine compartment of a modern envonmentally - friendly bus. These engines are tested for thousands and thousands of hours before being subjected to stringent examination by the regulatory authorities prior to being certified for use in public service. 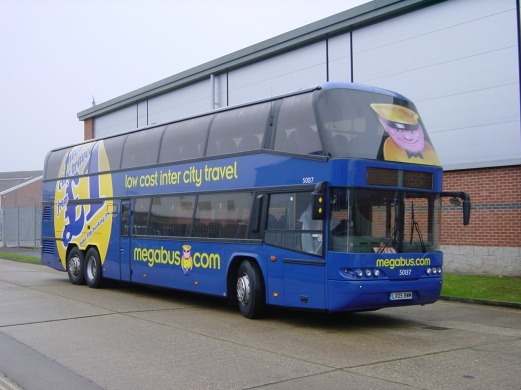 I'm by no means an authority on the matter, but I heard it being suggested that all new buses being delivered into London after 2012 would need to comply with new regulations concerning emissions. Accordingly, several manufacturers are testing hybrid vehicles. From the outside, this ADL Enviro 400 bus looks like any other. 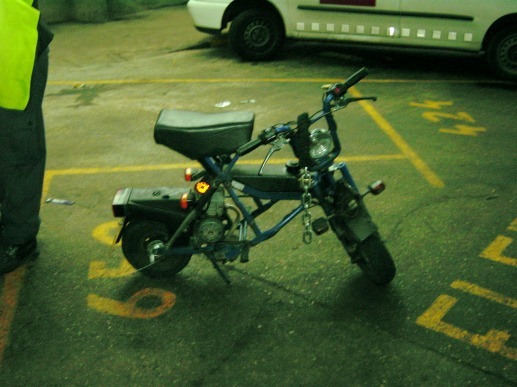 However, as revealed in the previous photo, It is driven by an electric motor - the power for which is generated by a conventional deisel engine. 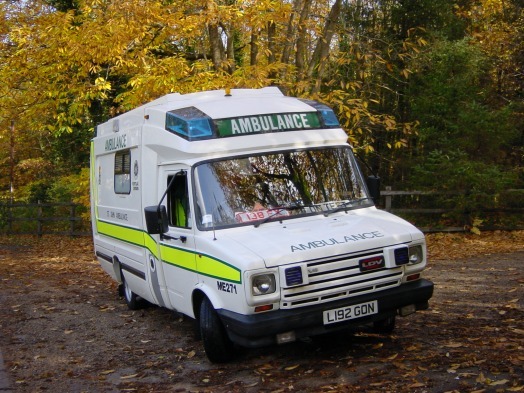 This is another deisel-electric powered conversion - carried out by a company in West Sussex. 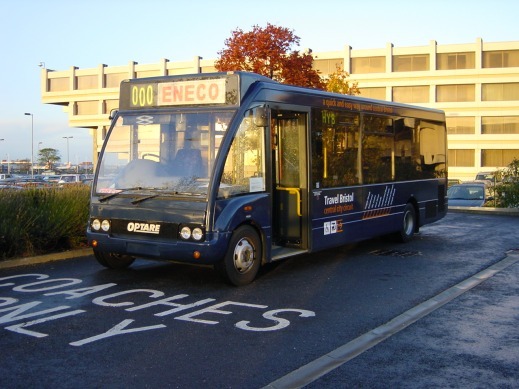 In this Optare Solo model, the original deisel engine is replaced by a car engine - which charges the batteries - which power an electric motor - which 'drives' the bus. West Sussex is quite close to my home and I spent several hundred hours road-testing these prototypes. Later, I enjoyed a day demonstrating one of them to senior Government officials in central London. This ADL Enviro 200 bus is an example of an experiment to place the 'exit' door at the rear of the vehicle (as opposed to the centre). 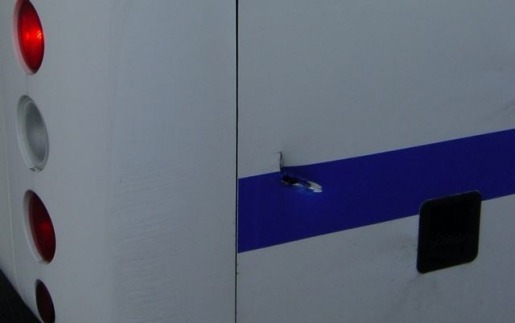 The following photo shows the position of the rear door more clearly. 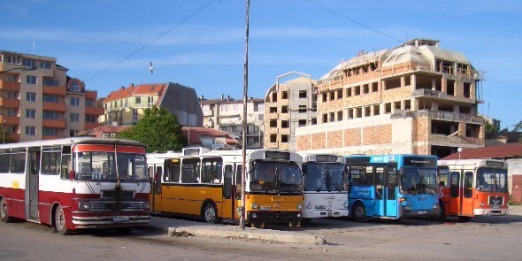 Liquid Petroleum Gas (LPG) bus. 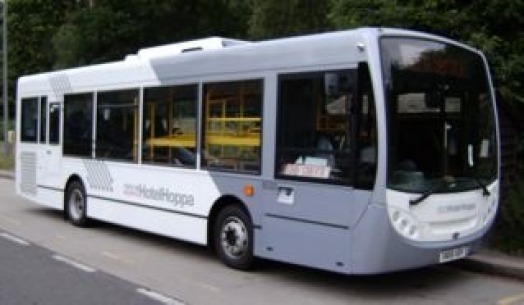 This bus uses Liquid petroleum Gas (LPG). Interestingly, the fuel tanks are those things on the roof! There used to be a time when delivery drivers were afforded absolutely no protection from the elements and they could be seen driving up and down the country wearing clothing similar to that used by pilots during WW2. Recently, however, the manufactures provide a little more comfort - not much, mind you. Although I didn't realise is at the time, this MAN proved to be the last vehicle I would deliver during my time as a delivery driver. I hadn't felt very well all day, and the following morning - when I went to see my doctor - she sent me straight to hospital, where I remained for a couple of days of assorted tests. Evidently,they were concerned it might have been a cardiac problem. However, it turned out that I had pleuresy. 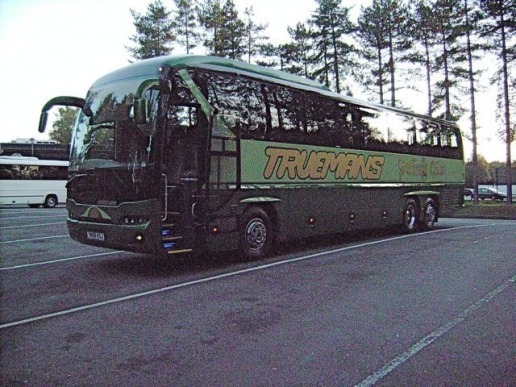 This coach had been taking part in a film shoot in Surrey before being delivered to the north of England. 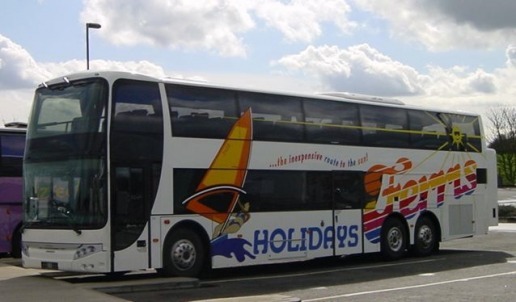 This Plaxton coach would be used on an express, limited-stop, service between Oxford and London. A rear view of the Oxford coach. More switches and controls than in many light aircraft. 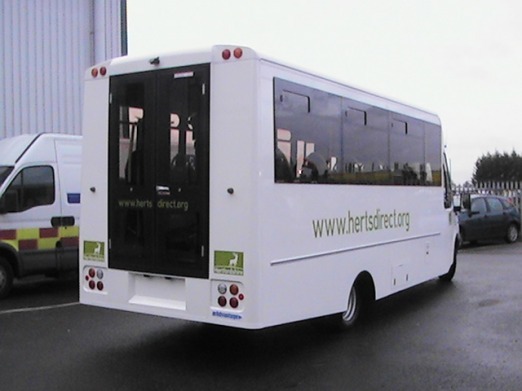 Front and rear view of buses bought by Kent county council. 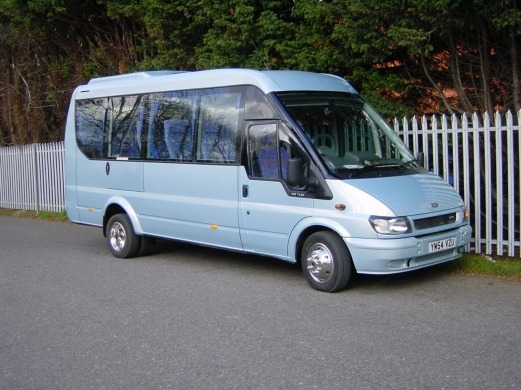 This is a very nice example of an executive mini-coach from Plaxton. 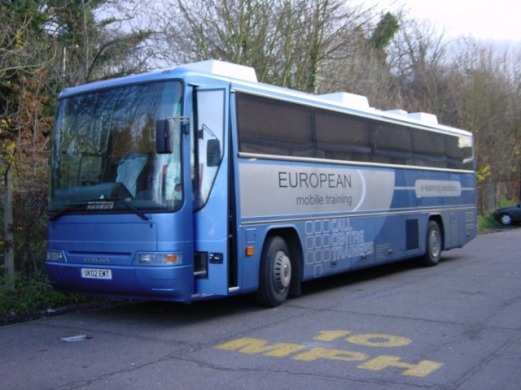 Evidently, this actual ADL bus had been expected to be involved in Ken Livingstone's plan to undertake an overland drive to Beijing for the 2008 Olympics. However, when Boris Johnson became Mayor of London, it was decided that such an excercise was an unneccessary and expensive publicity stunt and the project was cancelled. 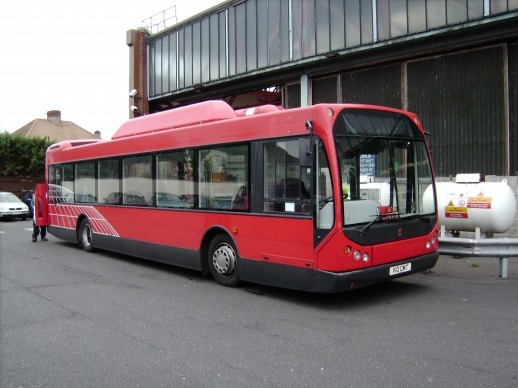 En route to a London garage, this type of body from Wrightbus is nicknamed 'Nokia' because of the similarity, in appearance, to a mobile phone. These six-wheeled coaches from Caetano have a remarkably small turning circle. 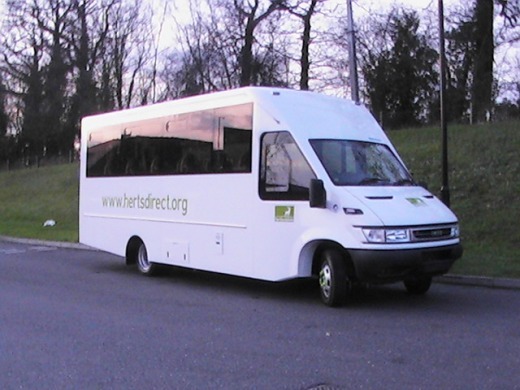 This ADL bus would be used for hotel transport in and around Heathrow airport. 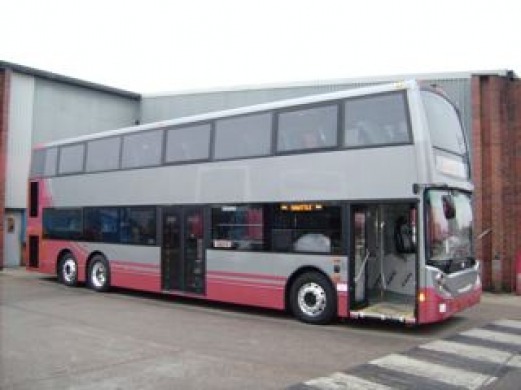 This new Scania double-decker (from the Blackburn factory) was ready for delivery into London. 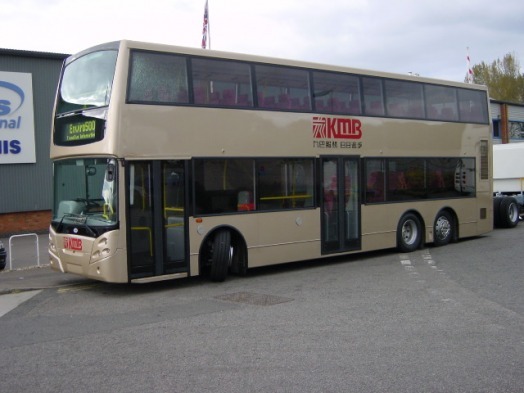 This Optimo mini-coach was being prepared for display at a national coach show at the NEC near Birmingham. 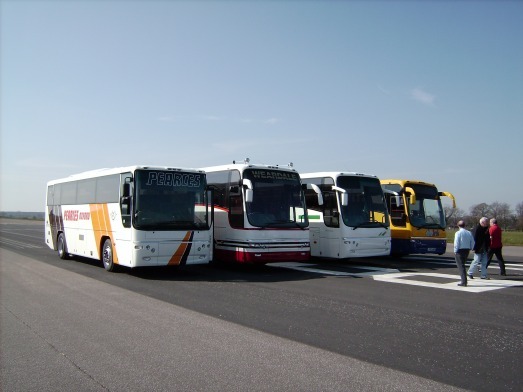 These Plaxton coaches were being lined-up for some manoeuvres on an airfield in Yorkshire as part of a demonstration video for the manufacturer. 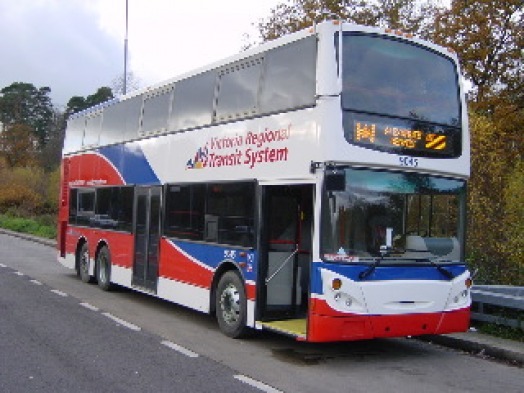 Stagecoach's attempt to enter the long-distance, limited-stop, express coach market. 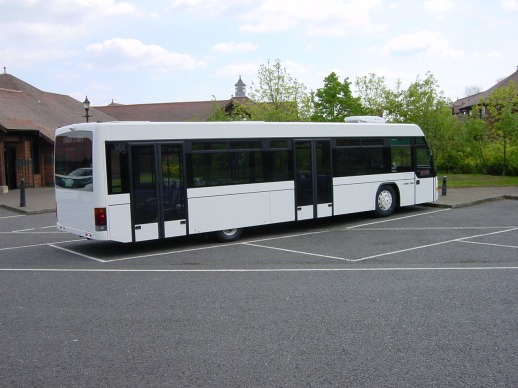 An Optare mini-coach based on a Ford Transit chassis. 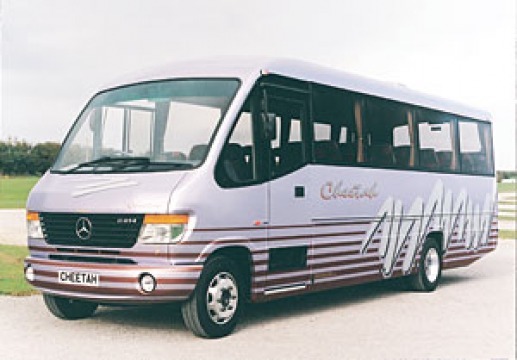 A Plaxton midi-bus based on a Mercedes chassis. 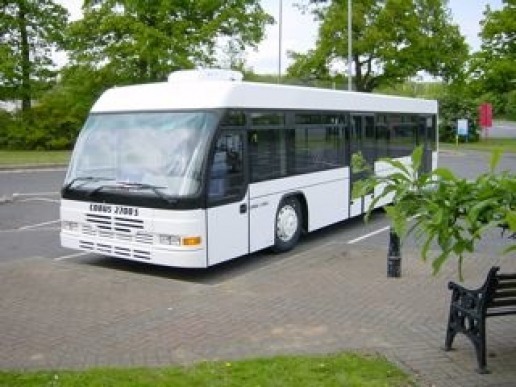 Based on an Iveco chassis, this was the first attempt by JDC (a well-established coachbuilder better known for fire-appliances) to enter the passenger-transport sector. 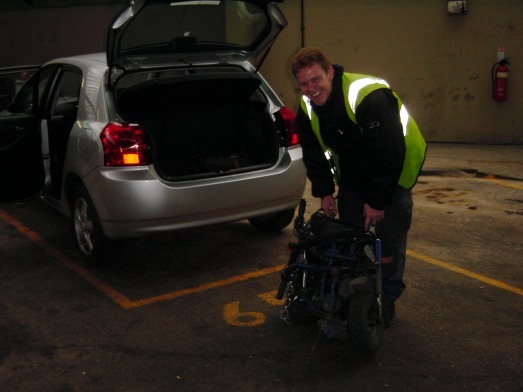 Showing rear access for wheel-chairs. 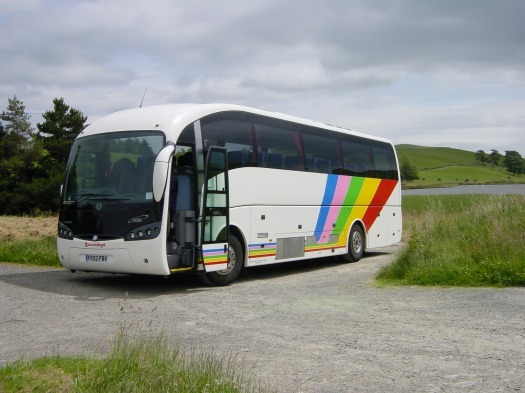 I believe the Eden project bought the first six ADL Enviro buses to go into service. Interestingly, I delivered every one. 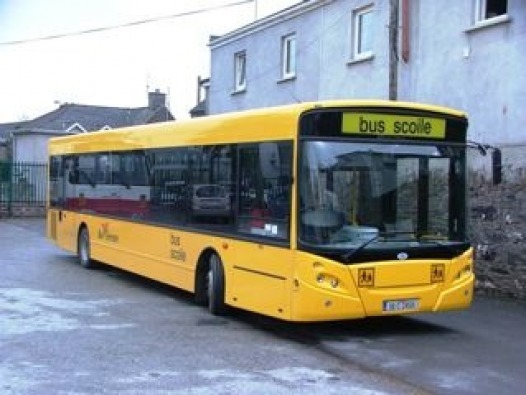 Another Enviro - this time in the guise of a school-bus for Ireland. Based on the USA concept, instead of two rows of 'double' seats. 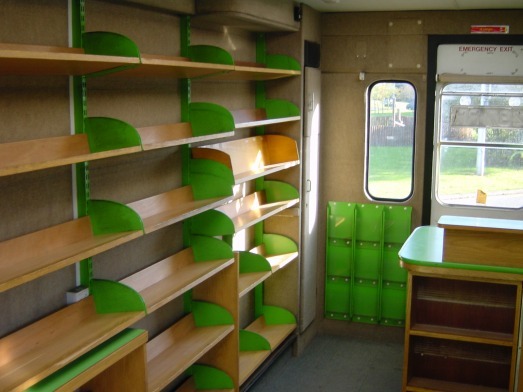 this school bus had one row of 'triple' seats - providing a capacity in the region of 70. 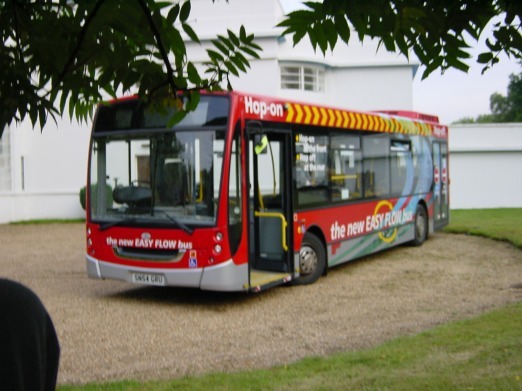 This Optare bus was en route to East Anglia. Based on a Volvo chassis. This from the HUMOUR section. However, I couldn't resist finding a place for it here. 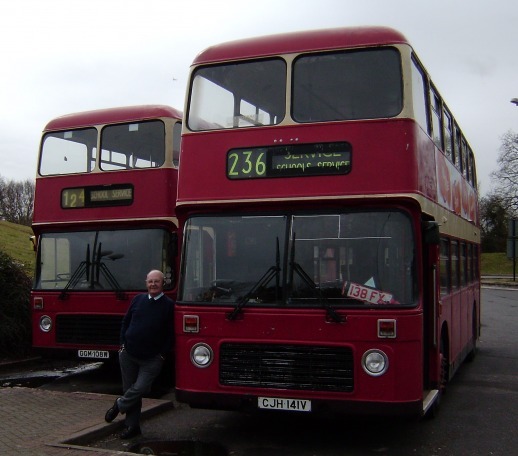 This MCW ex- London Transport bus which had been converted for driving instruction was being delivered to a company in Perth, Scotland. 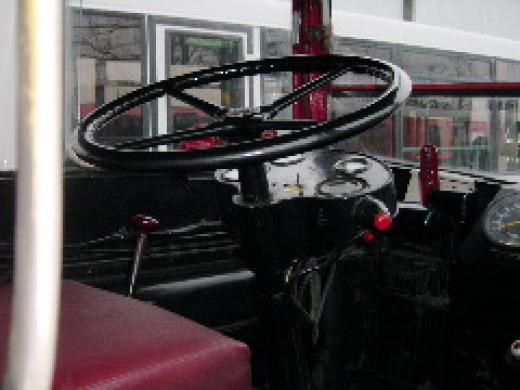 The instructor's seat has been placed just behind the driver's seat. 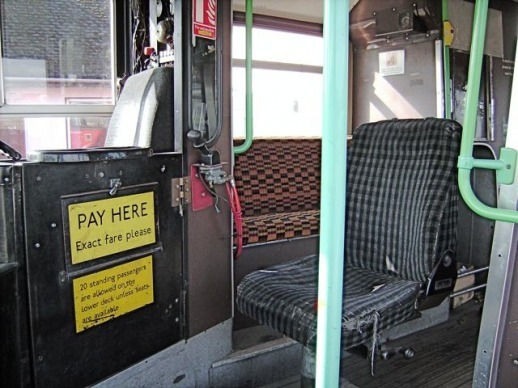 The only additional control the instructor has is a hand-brake which can just be seen (with a red cable running from it) to the rear of the' 'Pay Here' notice. Guy bus from the fifties. 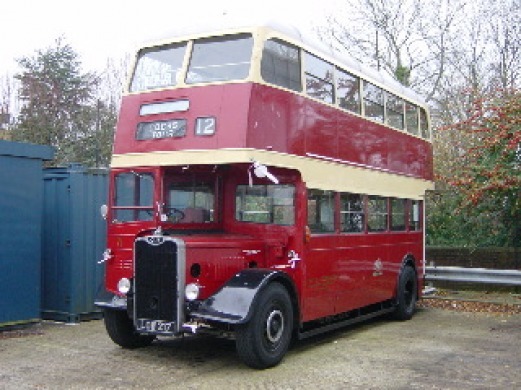 This is a 1950's Guy double-decker which I saw at a bus garage in Portsmouth and is very similar to the bus in which I took my PSV test in 1961. In 1961, there was no adjustable steering-wheel, no air-brakes, no power-steering, no automatic gearbox, no air-conditioning, no cab heater, no de-mister, no heated windscreen, no heated mirrors etc. There was just a steering-wheel, a horn, a gear lever, a hand- brake, a foot-brake, a clutch, an accelerator, a direction indicator and a windscreen wiper. 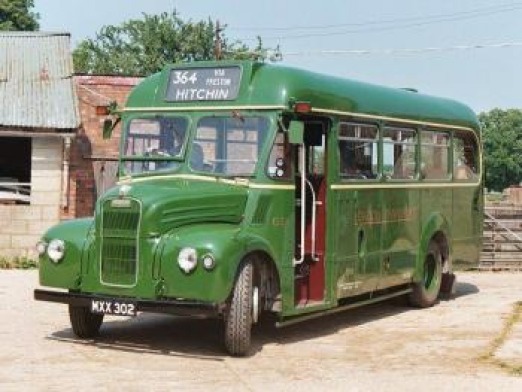 Another near-vintage Guy bus - whch, incidentally, is a model which I used to drive around the Surrey Hills. 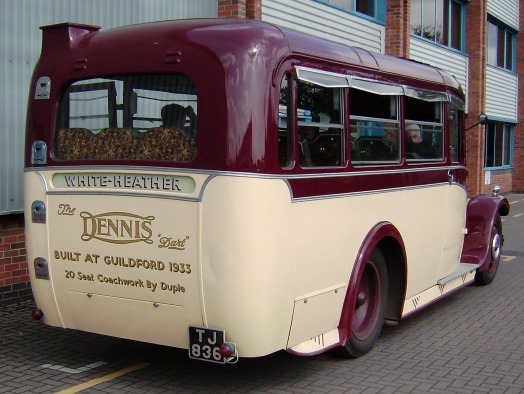 A vintage, Dennis, omnibus outside the manufacturer's HQ in Guildford. 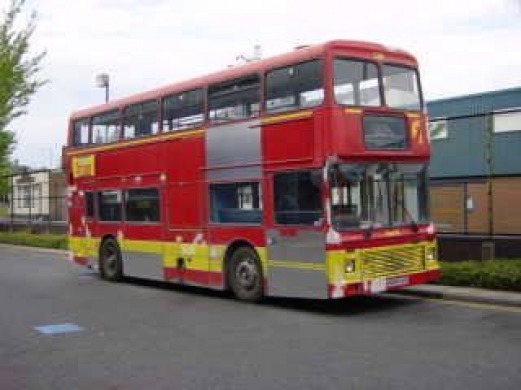 An old London Transport (LT) bus being prepared for renovation and a re-paint before going into service in the provinces (see below). 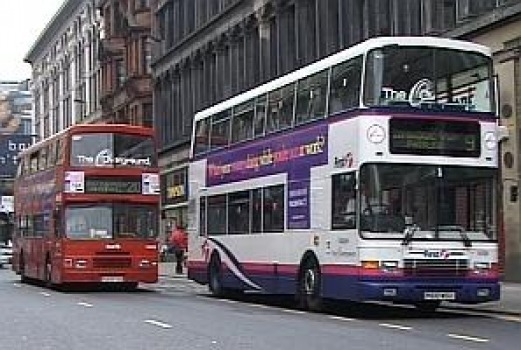 Although this photo was actually taken at Glasgow at about the time that the new colour scheme was being introduced, it does illustrate the difference between the London (red) and provincial (Barbie) colour schemes of the First Bus organisation. 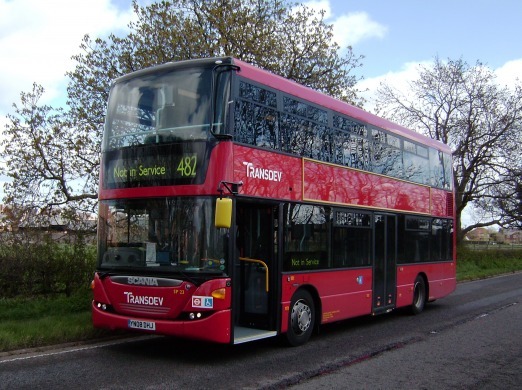 Another example of older buses being being moved out of London. 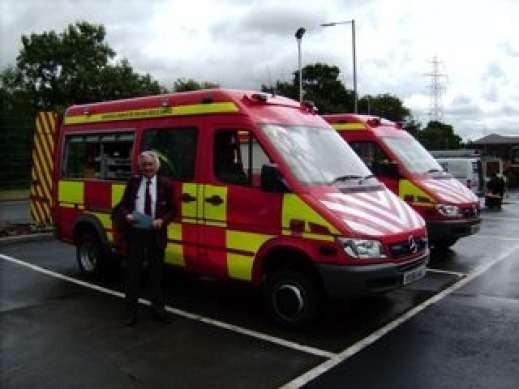 These two Bristol VRs were being taken up to Scotland where they will be used as school buses. The one I was driving broke down. However, a reconditioned part was found and the journey was completed during the following day. 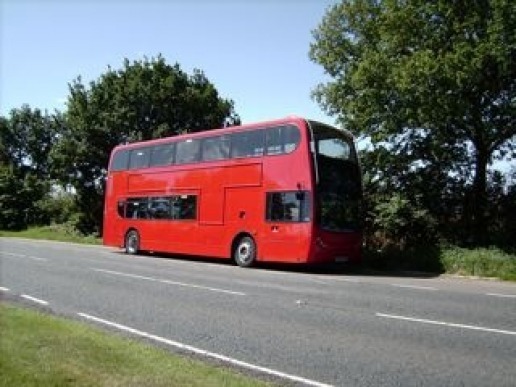 A London Transport Routemaster near the Millbrook vehicle testing centre in Bedfordshire. 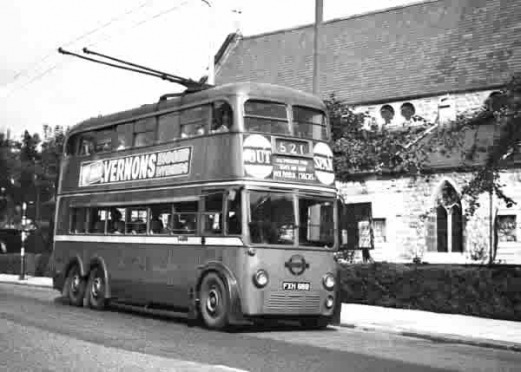 This old LT bus (en route to Rotherham for renovation) broke down at traffic lights on the North Circular road in London. Evidently, the ensuing queue of traffic was five miles long. Mr. Plod wasn't a happy bunny. 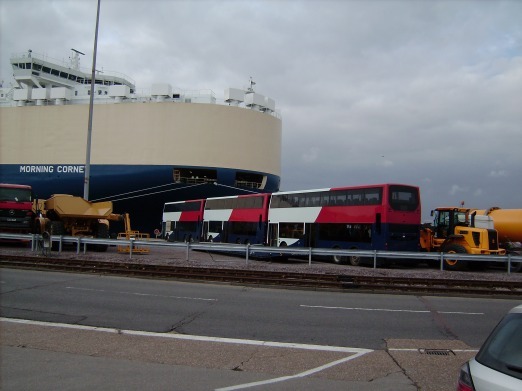 Two British-built LHD, Alexander Dennis Limited (ADL), Enviro 500 buses at Southampton docks en route to Las Vegas. Another, LHD, ADL 500 en route to undertake some wind-tunnel tests at a vehicle testing centre in Warwickshire prior to being exported to Canada. 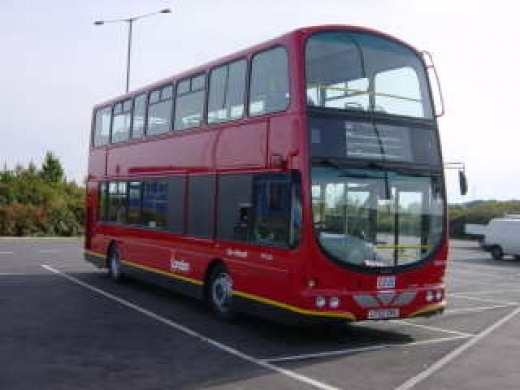 A RHD, ADL 500 bus en route to Hong Kong via Southampton docks. Another LHD, ADL 500 en route (via Southampton docks) to British Columbia in north America. An extended (over 15.5 mtrs. long) LHD, ADL 500 bound for Baltimore, USA. More ADL 500s at Southampton docks en route to Hong Kong. Electric-powered LHD, ADL 500 bound for north America (see below). 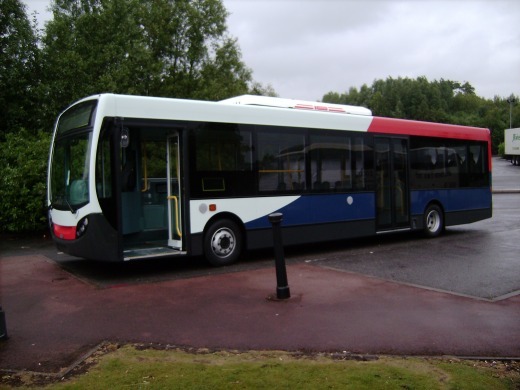 Electrically-powered ADL Enviro 500 at a coach show. A representative of ADL gave me the magazine in which this article appeared. The vehicle displayed is the one I delivered to Southampton docks (see above). 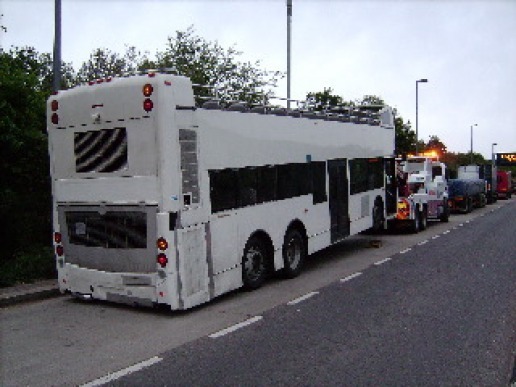 Extra-large bumper-bar fitted to this new bus. It's so big, it wouldn't be out of place on the front of a train. 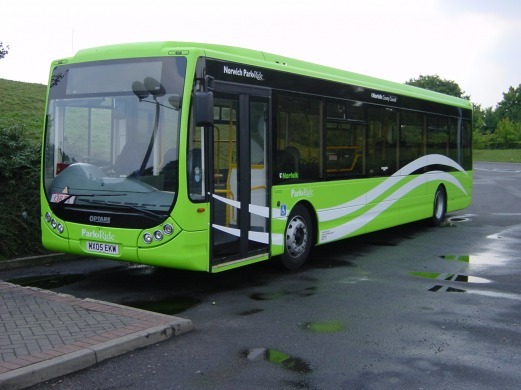 Built in Scotland and photographed at Stafford services, an ADL Enviro 200 Dart en route to Southampton docks for shipment to Hong Kong. 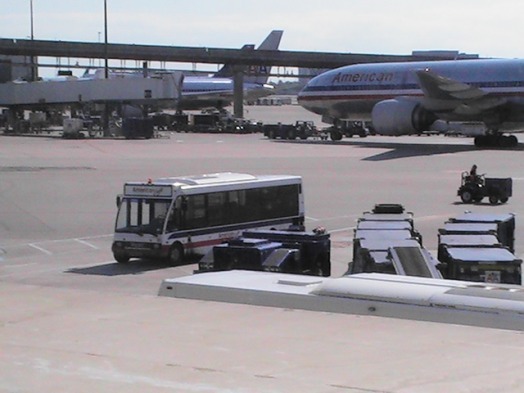 Returning from a trip to South America in 2006, I saw a few British-built, Optare buses at Miami International Airport in Florida. 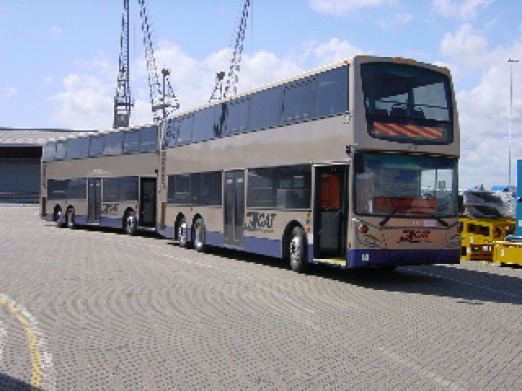 This Volvo coach is waiting at Portsmouth docks to be shipped back to Portugal for some repair work. Intriguingly, this second-hand American school bus (which had the best part of 700,000 miles under its belt) had been imported from the States to Southampton docks - from where we had been engaged to take it to Tilbury docks in order for it to be shipped to The Congo. Normally, during recovery, a ramp is extended from the rear of the low-loader to allow the broken-down vehicle to be manoeuvered onto the platform. What's unusual about the one in this photo is that the entire rear-wheel section moves forward (another photo) and, as a consequence, the rear of the platform is lowered to the ground. After the broken-down vehicle is secured onto the platform, the wheels move back to their original position. In addition to PCV vehicles and fire appliances, the company I worked for deliver cranes as well. One of my colleagues collected this one from the manufacturer in Germany and delivered it to a company in Walsall. This was, originally a Leyland Leopard/Alexander bus which was new in May 1971 and operated by Yorkshire Traction. 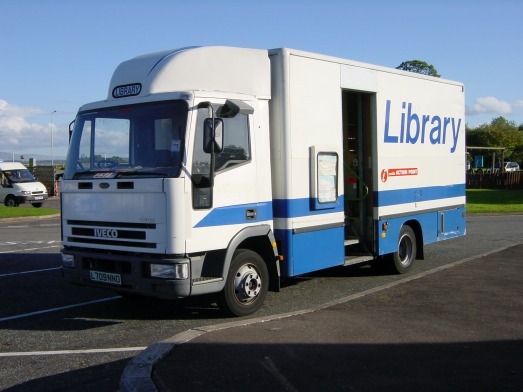 When it arrived at Strathtay (near Dundee) in October 1991, it had already been converted to a recovery truck, and it is still used in that capacity. Thanks to suzyscott for this information. 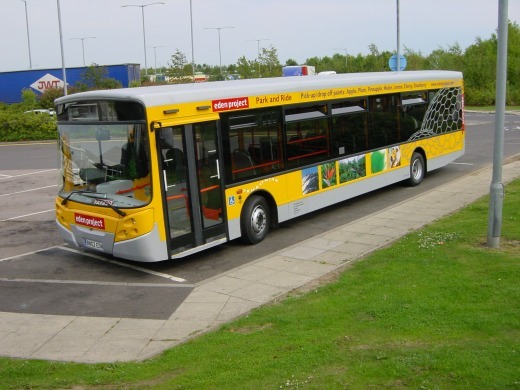 Believe it or not, bendy-buses are easier to drive that one might imagine. Turning around if you've driven up the wrong street, however, presents an interesting dilemma. This is a Volvo version. 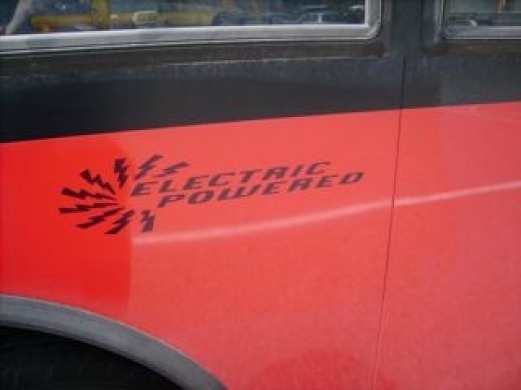 I was intrigued to discover that the engine is at the rear of the bus. Somehow, I had imagined that it would have been at the rear of the 'front' section - a bit like an articulated lorry. 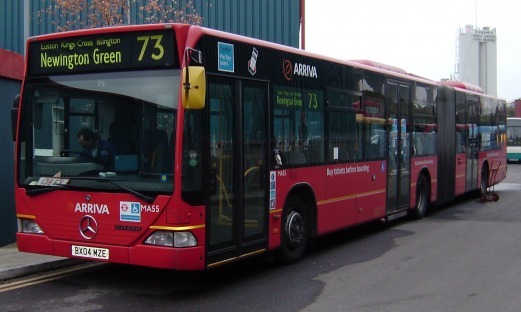 London Transport Mercedes Citaro bendy-bus. 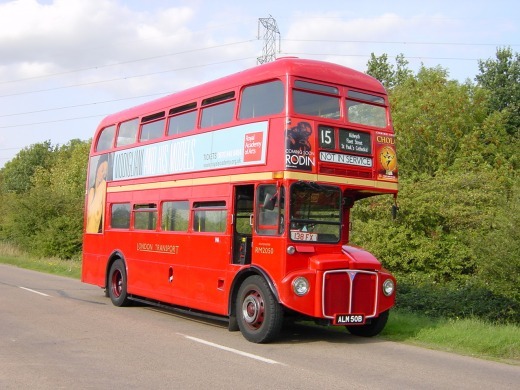 During Mayor Ken Livingstone's era, London Transport Routemaster buses were replaced by bendy-buses. This is a Mercedes version. 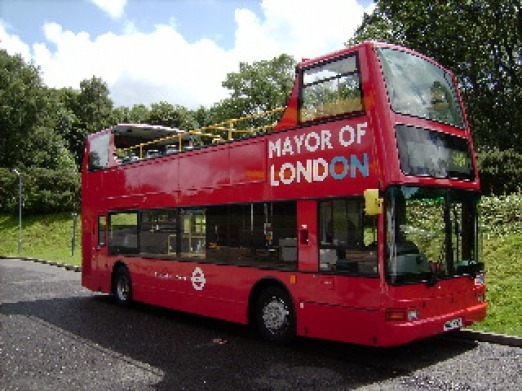 Boris Johnston, however plans to introduce a new Routemaster. I imagine the capacity is greater than many commercial aircraft. 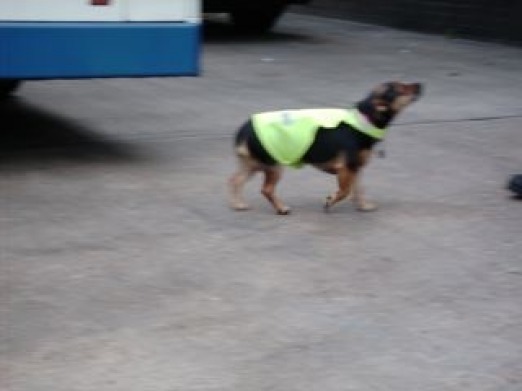 This appropriately dressed dog belongs to a garage manager in Bracknell. 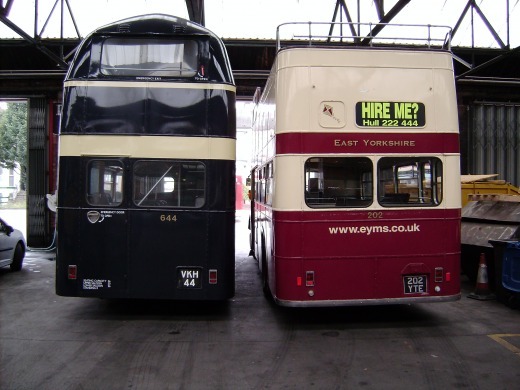 The one on the left of these two vintage buses had been modified to go under a particular archway in the ancient walls surrounding the east Yorkshire town of Beverley. 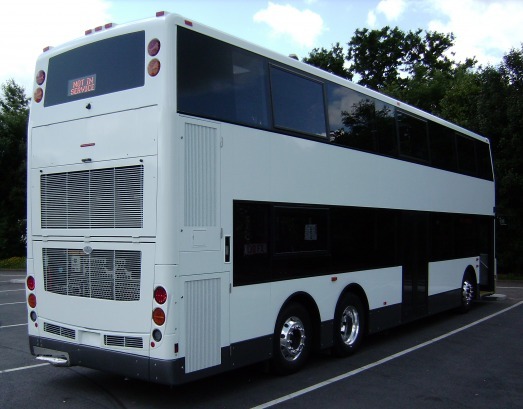 Airport bus - rear view. 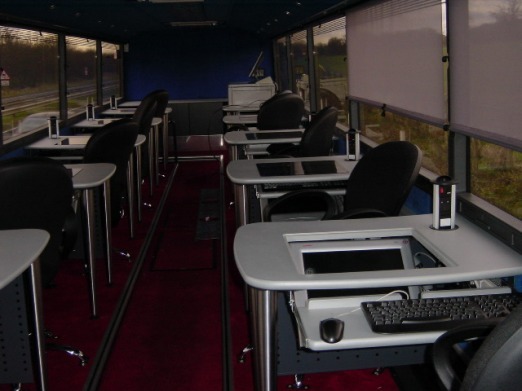 ..........The coach intereior is converted into a classrom. ..........They come in their own carrier-bag and should be carried in the boot of the hire-car. However, some of the guys put them in the front of the car and, as a consequence, it often stinks of fuel. This speed-machine was being re-possessed. ..............belonging to The St. John Ambulance Brigade. En route to Scotland for alterations to the interior. ...........which seemed to be OK so far as I could see. ...........and completed to a very high standard, I must say. 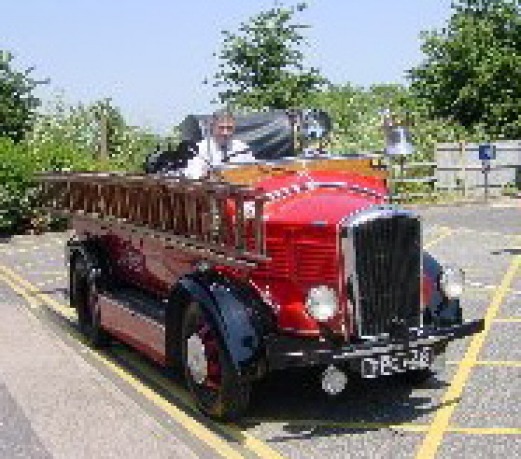 One of the earliest Dennis models outside the manufacturer's HQ. 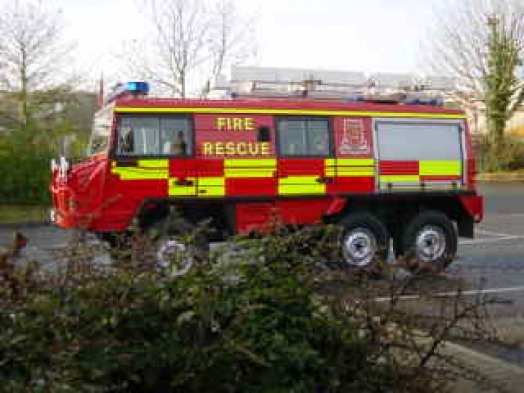 This photo was taken after we delivered two JDC fire appliances to Malvern. 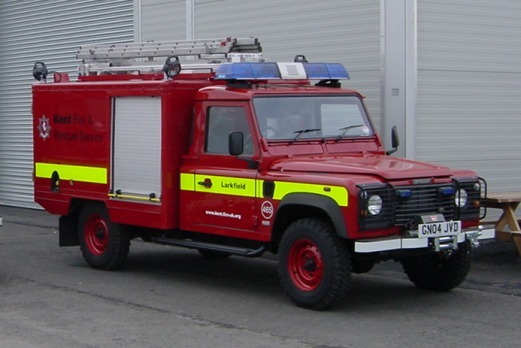 This Land Rover based, JDC fire appliance was bound for Kent. 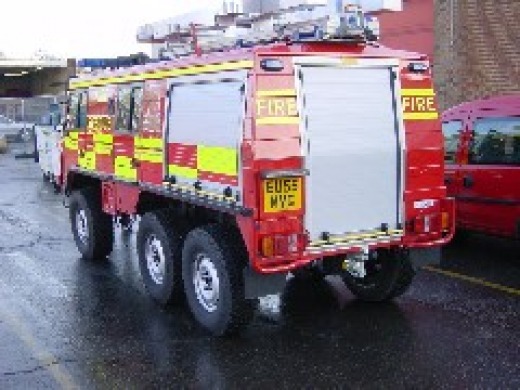 Based on a Pinzgauer chassis, this JDC fire-appliance was going to Essex. 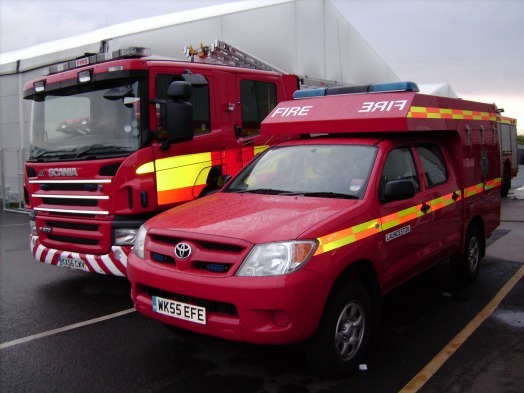 Examples of the JDC range of fire appliances. 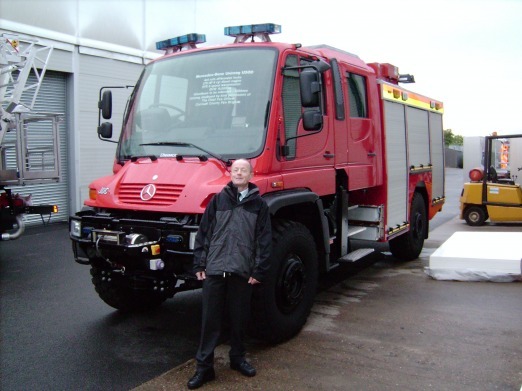 A JDC all-terrain fire appliance - based on a Mercedes Unimog chassis. 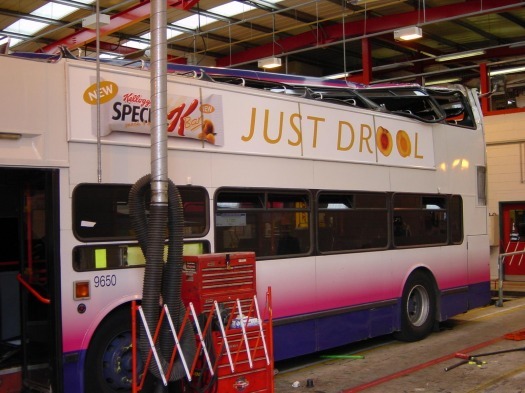 I saw this unintentional open-top conversion in a bus garage in Bath. I have to admit, it's a tidy piece of work and I hasten to add it's not my own. The result of a coming-together with a mobile crane. 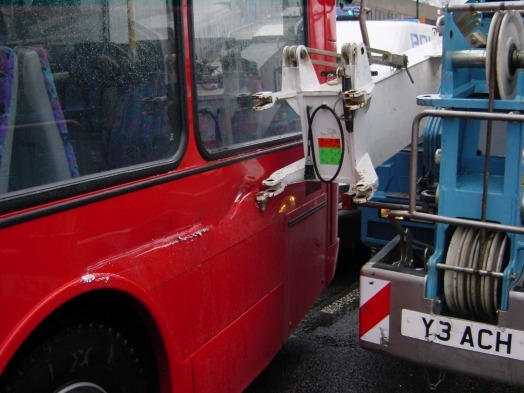 Fortunately, a witness noticed that the crane driver had been looking at a map at the time he hit the bus. Although there are several competent bodyshops in the south-east of England, for some reason or another, this London-based, Scania was taken back to the original coachbuilders premises in Blackburn for repair work. The damage extends along the lower edge between the wheels. Minor dammage - major expense. Even a relatively small dent/hole - like this one on a National espress coach - could cost hundreds of pounds because, instead of repairing the damage, the trend nowadays is to replace the whole panel. For some reason or another, along with the rest of the traffic on the M25 at the time, I was obliged to brake quite sharply. Unfortunately, the development vehicle I was driving did not have a panel behind the driver's seat and some of the contents of my overnight bag were thrown into the driving compartment. 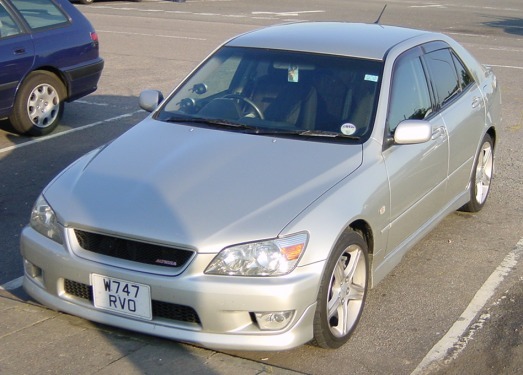 In particular, my road atlas - which became jammed between the accelerator pedal and the footbrake. When the traffic had slowed to a walking pace, I leaned down to try to dislodge it. 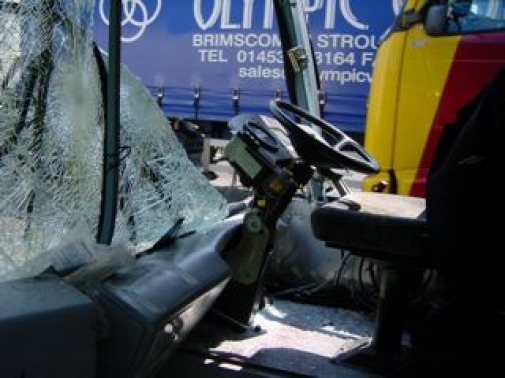 .........As this photograph shows, the damage to the lorry was negligible. However, the consequences for the bus were significant and I was lucky to escape with little more than minor bruising to my shins and major bruising to my pride. 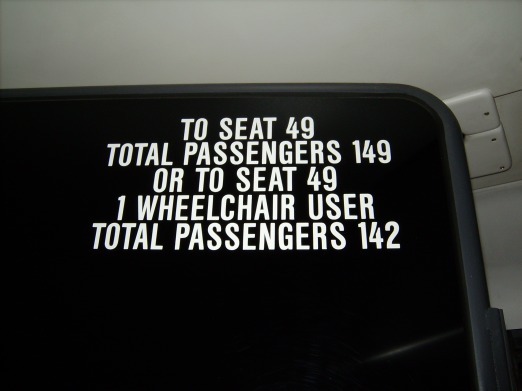 It's, perhaps, fortunate that plastic (rather than metal) is used nowadays in the manufacture of buses because there really wasn't much room for my legs. 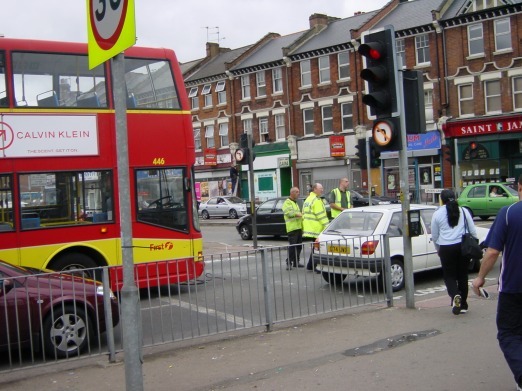 Accidents aren't confined to buses and coaches. This is the result of a lady driver becoming confused at a roundabout and, instead of turning off (she was in the left-hand lane), she decided to continue around the roundabout and, unfortunately, I was in the way. 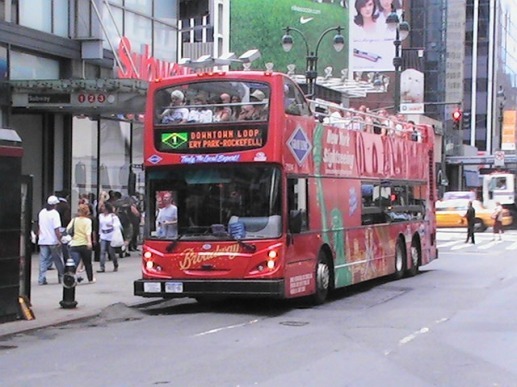 A British-built open-top bus I saw in service in central Manhattan NYC. It was quite intriguing to speculate that I may have delivered this very vehicle to Southampton docks. My elder son lives in New England. 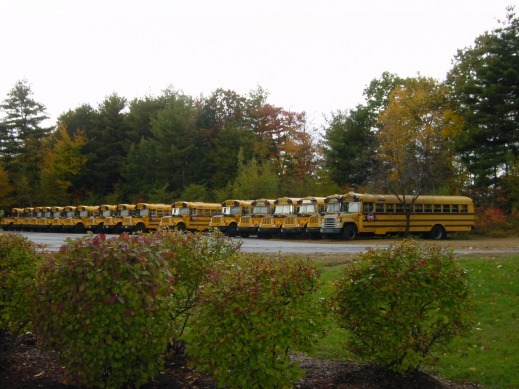 Here are some of the buses which take my grandsons to school. My younger son works in Bulgaria. Knowing my interest in buses, he took this photo for me. 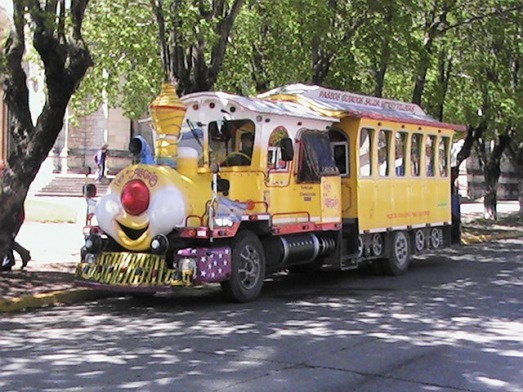 During a visit to South America in 2006, I saw this 'train' - based on a bus chassis - in the capital of the Patagonian Lake District of Argentina. 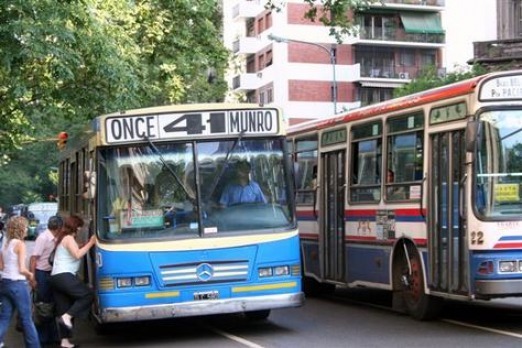 Known as 'colectivos', the colourful urban buses in the Argentine capital city provide an excellent service. 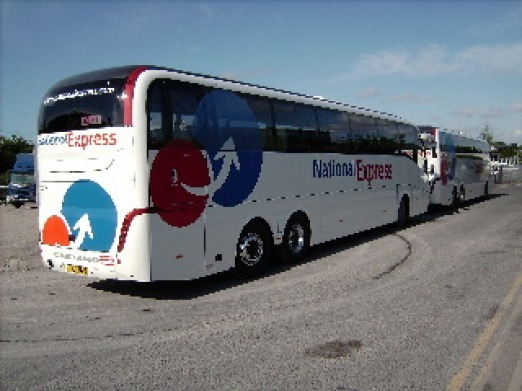 This is a long-distance coach I travelled in whilst visiting Peru in 2006. 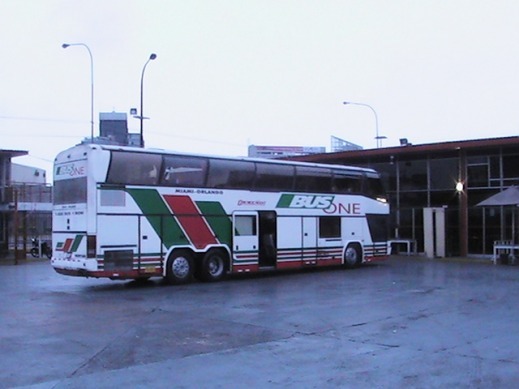 It's identical (but not as well maintained as) to some coaches I travelled on in Argentina. 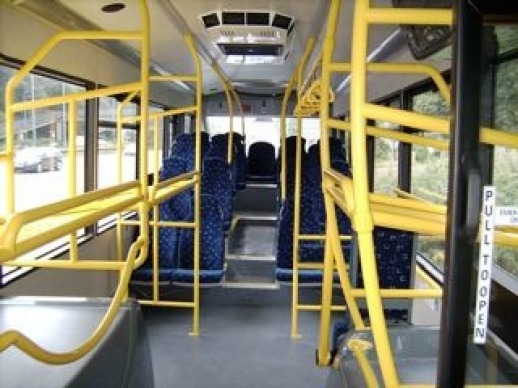 Check out the Video section for more buses in Peru. 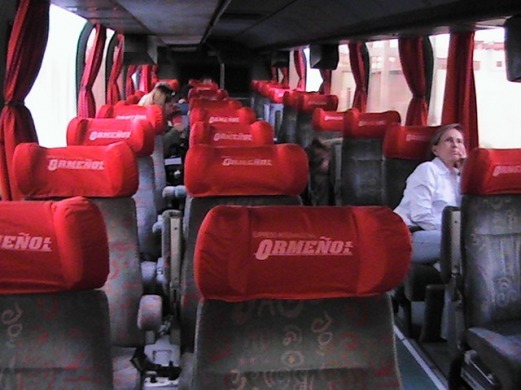 Many long-distances coaches in South America offer a much higher degree of comfort than is the case in Europe. In addition to luxurious reclining seats - note that they are three (not four) abreast - aircraft-style food is served by on-board 'cabin' crew. On the lower deck, there are individual compartments which have fully-reclining seats.